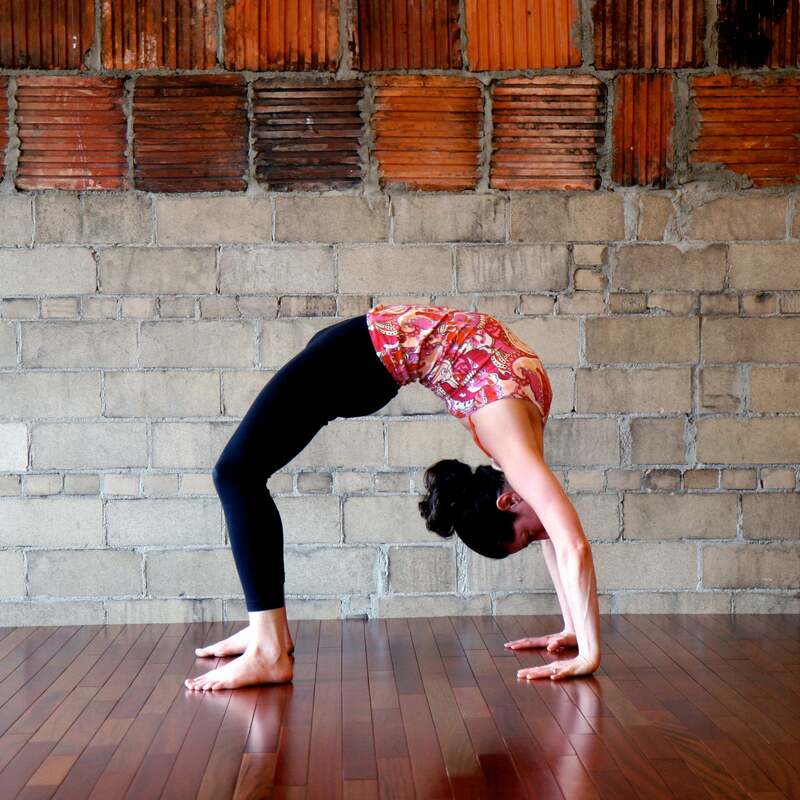 The wheel pose is a backbend asana that straightens your legs, arms, and back. You probably know this pose after its other name: the upward bow. This is how some yoga lovers and enthusiasts call this asana. No matter how you name it, you must learn how to do it correctly to achieve all the benefits it has to offer. Here are some effective tips on how to perfect the wheel pose as well as its main benefits. During the entire pose, you must maintain your balance by keeping your feet parallel as well as at a hip-width distance. When you start this pose, your hips will move into an extension which increases the angle formed between your belly and thighs. The muscle that works the most will be the gluteus which will not only help extend your hip but will also rotate your thighs outwards. Some people might complain about the fact that this pose puts quite some pressure on their lower spine around their sacroiliac joint. Therefore, you must adjust your legs and align your body until you feel relaxed and comfortable. It is true that the wheel pose engages all your limbs, both hands, and both legs. Still, most of the focus and effort should come from your legs. In other words, when you bend your back to form the wheel, you must push or press your feet into the ground to lift your body and arch your back a little more. Some of you might benefit from lifting the heels. This might provide a bit more bend through your spine. However, be careful not to lift your toes along with your heels. Also, if you don’t have enough experience in doing the wheel pose, you should wait until you perfect it to lift the heels. Work the back bend from your mid-back area. Our thoracic part of the spine is a bit stiff because of the way the ribs are attached in that area. Therefore, you should first extend your arms up high facing the ceiling. Then, you must wrap both elbows in as much as you can and open your chest. Lift your sternum while arching your back. From there, you can push with your feet into the floor to lift up your torso and create a beautiful arch. This pose will stretch almost all major muscles in your body. It is a great heart opener; it will strengthen your heart muscle. It improves the pituitary gland and thyroid functions. It boosts energy and lowers depression, stress, and anxiety. It increases balance and flexibility. The wheel pose is a great asana with plenty of benefits for your body, spirit, and mind. It develops your sense of space while improving your nervous system function. One of its secrets lies in your legs’ strength. Another one, equally important, is the way you start bending your spine: it must be done from your thoracic area. Apply the above tips, and let us know how well you can perform this pose.